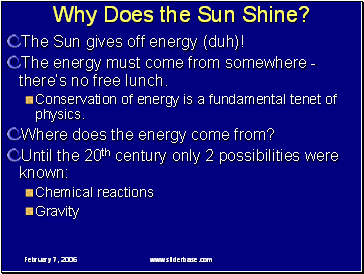 The Sun gives off energy (duh)! The energy must come from somewhere - there’s no free lunch. 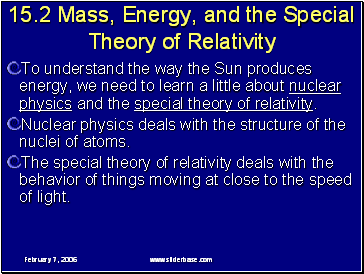 Conservation of energy is a fundamental tenet of physics. Watt is the unit for the rate of energy use, commonly seen on light bulbs and appliances. 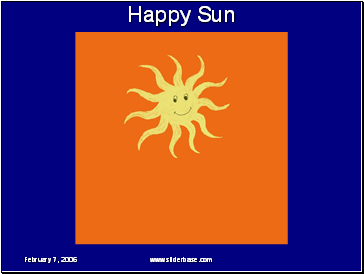 Anyway you look at it, the Sun gives off a lot of energy. 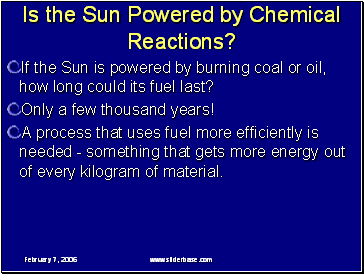 Is the Sun Powered by Chemical Reactions? Rearrange the atoms in molecules, as in 2H2 + O2  2H2O + energy. This reaction combines hydrogen and oxygen gas to produce water plus energy. Reverse the process: 2H2O + energy  2H2 + O2. By adding energy we can dissociate water into hydrogen and oxygen. 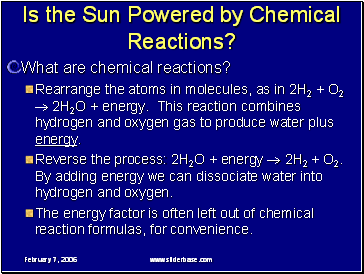 The energy factor is often left out of chemical reaction formulas, for convenience. If the Sun is powered by burning coal or oil, how long could its fuel last? Only a few thousand years! A process that uses fuel more efficiently is needed - something that gets more energy out of every kilogram of material. drop a book  noise! Gravitational potential energy. 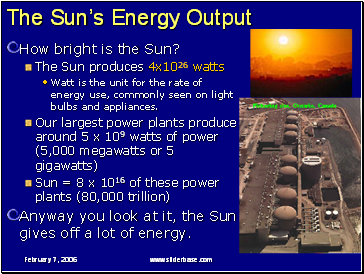 A contraction of 40m per day would account for the Sun’s energy output. 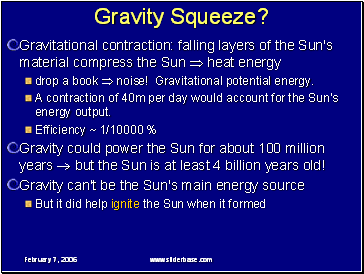 Gravity could power the Sun for about 100 million years  but the Sun is at least 4 billion years old! 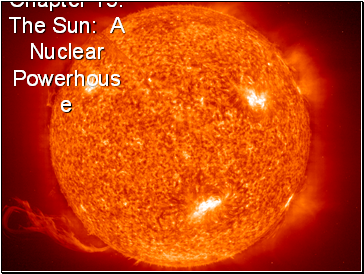 To understand the way the Sun produces energy, we need to learn a little about nuclear physics and the special theory of relativity.